Super Smash Flash 2, a fan-made Super Smash Brothers tribute by Mcleod Gaming, that features anime characters like Naruto and Goku alongside Nintendo heroes like Mario and Samus, just pushed out a big new beta featuring tons of new heroes. Many of these new additions hail from previous Smash franchises but are new to the world of Super Smash Flash. 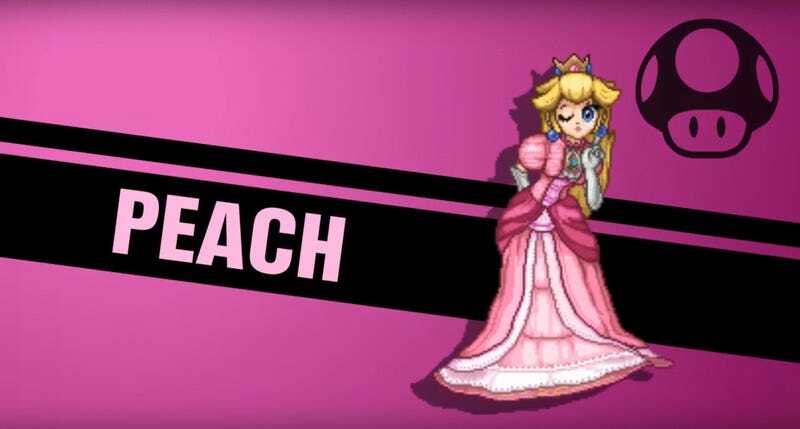 Here’s the full list of characters featured in the latest SSF2 announcement trailer: Isaac, Princess Peach, Bowser, Mr. Game & Watch, Mega Man, Luigi, Pikachu, Jigglypuff, Pac-Man, Wario, Falco, Bandanna Dee, Luffy, Sonic, and Tails. According to the game’s development forums, Sheik is also on the way, which will round out the full roster to 39 characters. Update 5/30/17 5:45 PM: Mcleod Gaming told Compete that Sheik is available in the latest build of the game and “can be accessed via Zelda’s down special or by clicking her inside of Zelda’s icon on the CSS.” Super Smash’s classic punching bag, The Sandbag, is also available as an unlockable character with its own moveset. Super Smash Flash 2 has been in development since 2007. Its 2006 predecessor, Super Smash Flash, was also a browser-based Smash clone that took its inspiration from SSB: Melee. Previous versions of Super Smash Flash 2 more closely mimicked the style of Super Smash Brothers: Brawl, since that was the popular iteration of Smash when the game began development. In the past few years, however, the game has taken a turn towards mimicking the mechanics of Smash 4 instead. Plus, of course, there’s the added challenge of running into new characters like Isaac, whose moves got invented wholesale for SSF2, along with other SSF classics like Naruto and Goku who don’t have anything in common with any Smash hero. The game’s landing page has been up and down all day long, thanks to legions of fans downloading the latest beta. If you can get it to load, enjoy! Update 5/30/17 5:45 PM: If you’d prefer to play the game on a controller rather than learn the keyboard controls, you’re in luck. According to Mcleod Gaming, “controller support is now a part of the game and fully functional in the downloadable version,” without any need for installing programs like X-Padder to make it all work.